It was a normal Wednesday night until I got this message. I was going out for the gym at that time, so it’d be alright to pass by the mailroom. However, when I got to the mailroom to ask for my mail, the lady in charge said it was a middle-sized box, not just a letter. I was soooo excited and couldn’t wait to open the box, but I decided to head for the gym as planned, and opened it when I went back to the dorm. 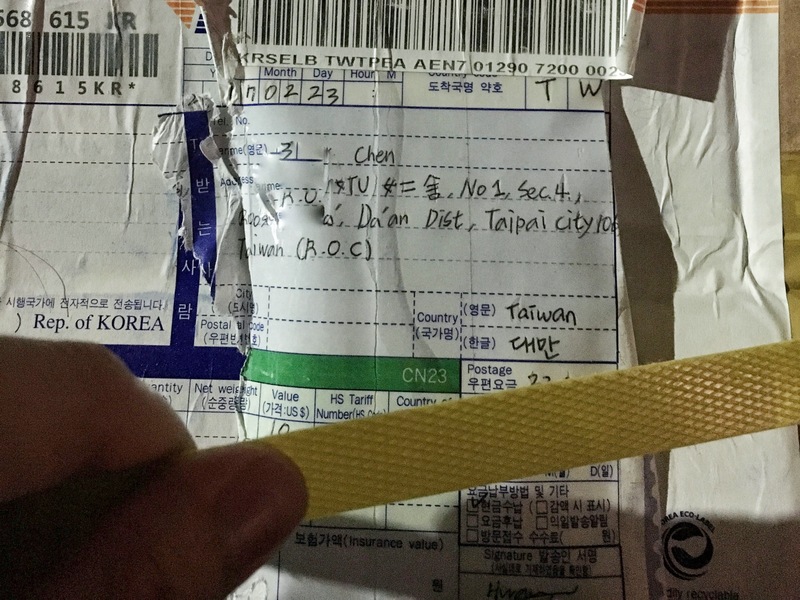 아니~it was far better than a box of ramen. 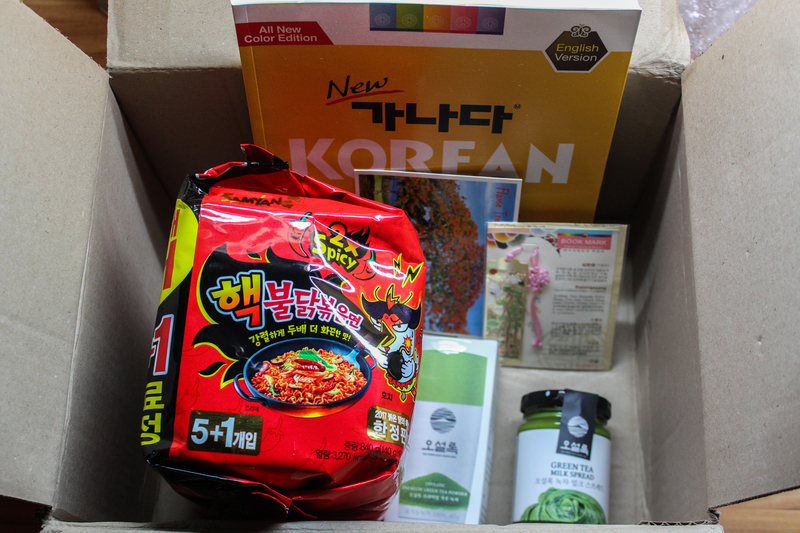 It was a combo of cool Korean stuff! And then, I saw two well-packed bottles. They are products from O’SULLOC, a famous green tea brand in Korea! How could I ever get to try the super popular green tea milk spread and green tea powder if you didn’t send them to me? Next to the green tea products, there was another well-packed stuff. Last but not least, there were a bookmark as beautiful as the one I got in Paris, and a postcard printed with special trees from Saipan. I’d like to put the bookmark in my bag as a lucky charm ( so I have two lucky bookmarks now😆 ), and stick the postcard on the wall in front of my desk, so as to remember this cross-country friendship.